Produced For – Curtis Records, Inc. Copyright (c) – Curtis Records, Inc. Published By – Curnor Music Publishing Co.
Track A5 credits "L. Grean" as co-composer. This could be a misprinting of C. (Charles) Grean. 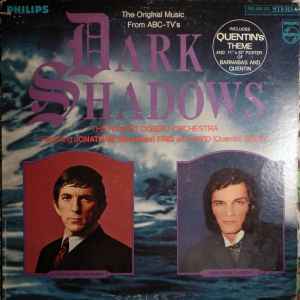 Included a 11" x 22" fold-out poster featuring stars/narrators Jonathan Frid and David Selby. Copyright 1969, Curtis Records, Inc.
I’m not an avid collector of soundtracks with only a few dozen but this one sounds pretty good. The pressing is not bad but not too dynamic and a bit thin, however the actual tracks are really orchestrated quite well and certainly exceeds my expectations. I’ve only seen a little of the tv show.